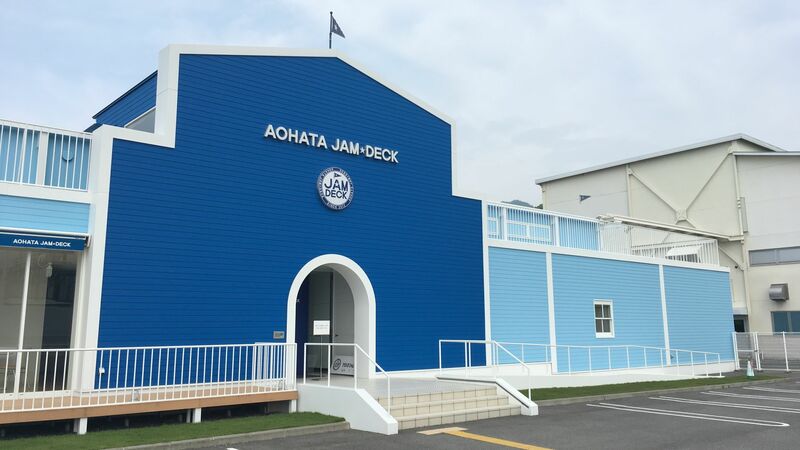 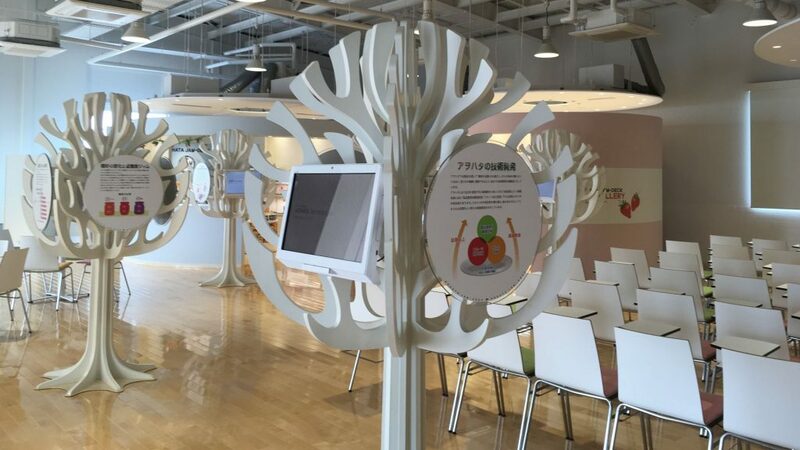 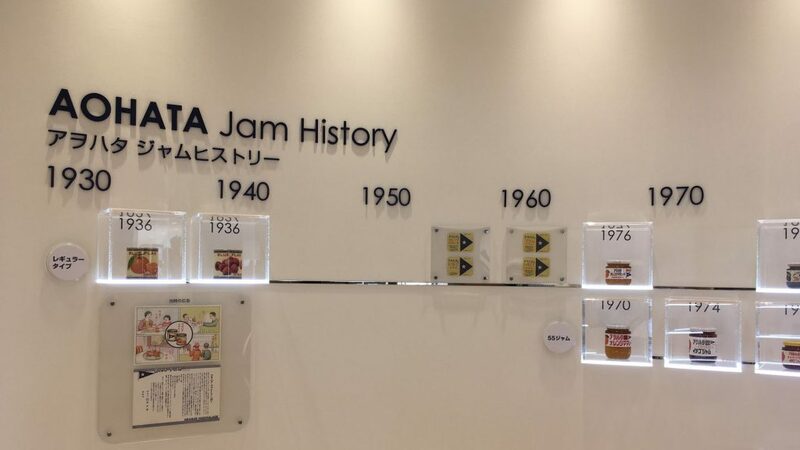 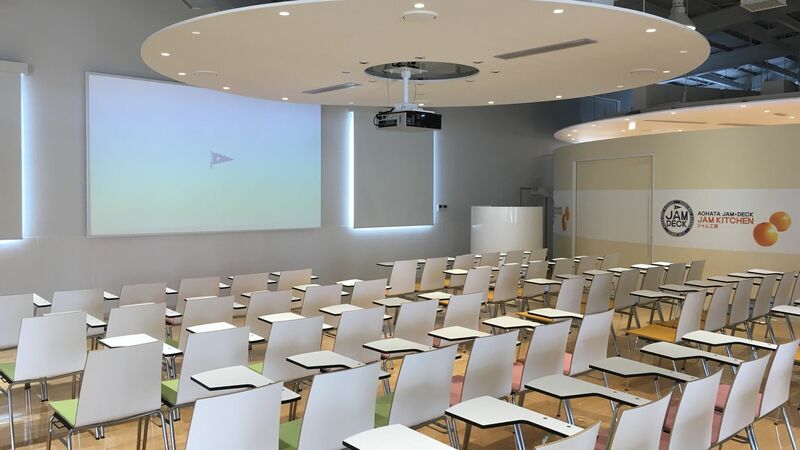 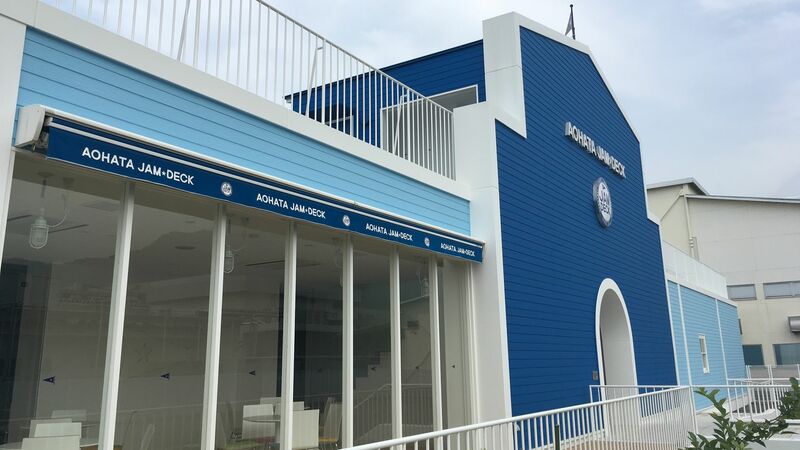 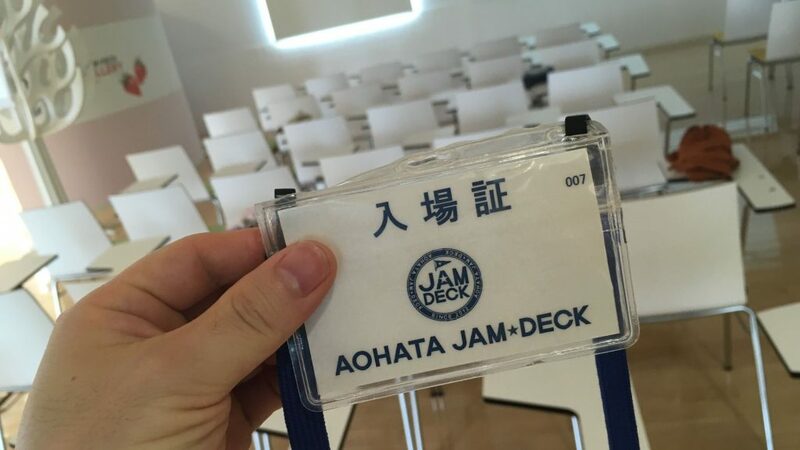 Aohata Jam Deck is experience facility of AOHATA Corporation, located in Takehara City, Hiroshima Prefecture. 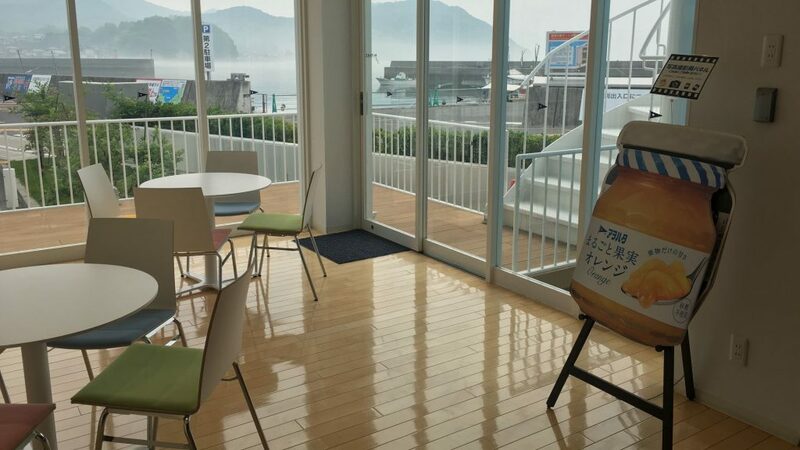 This facility is located near Ohkuno-shima island which is famous as a rabbit island. 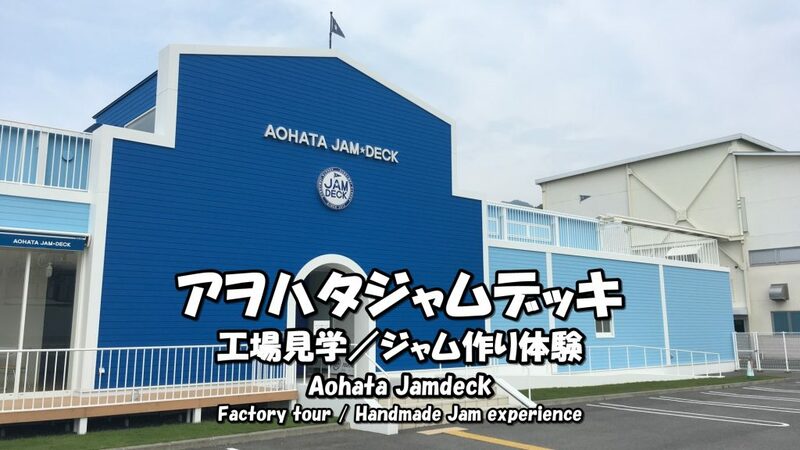 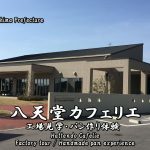 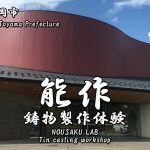 This facility organizes factory tour and jam making class on weekdays and Saturday. 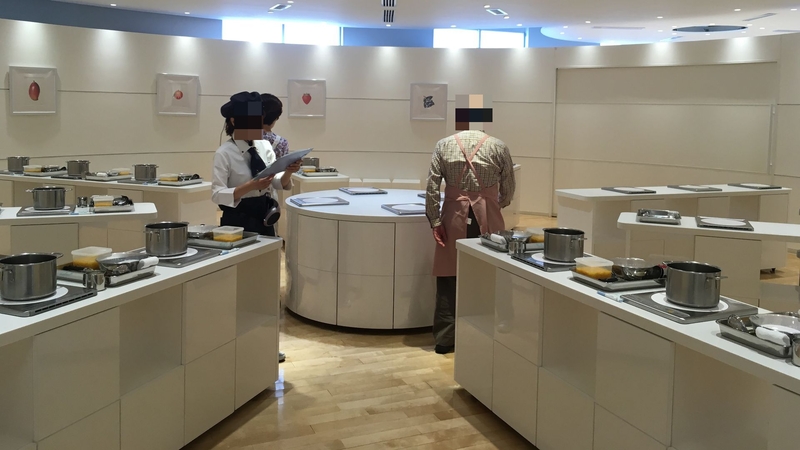 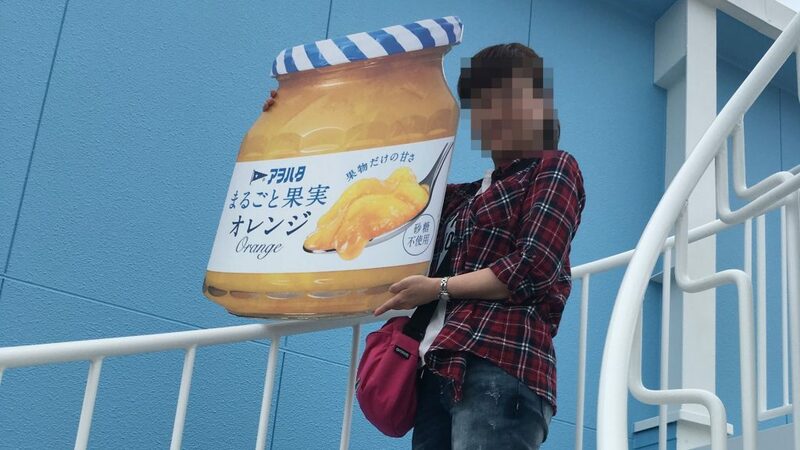 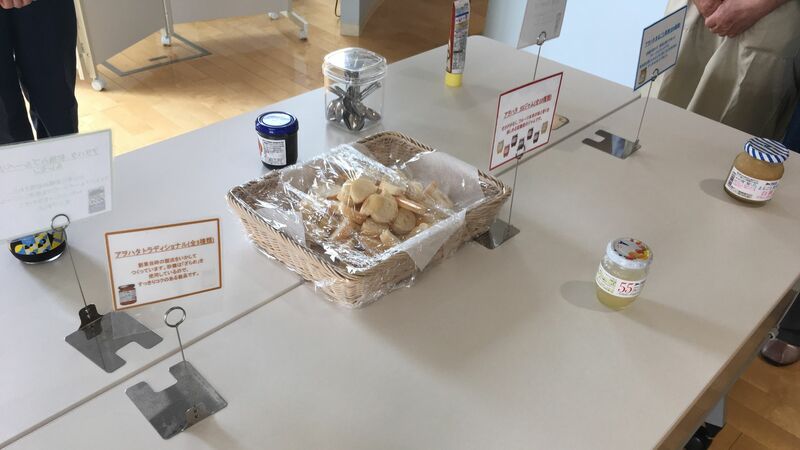 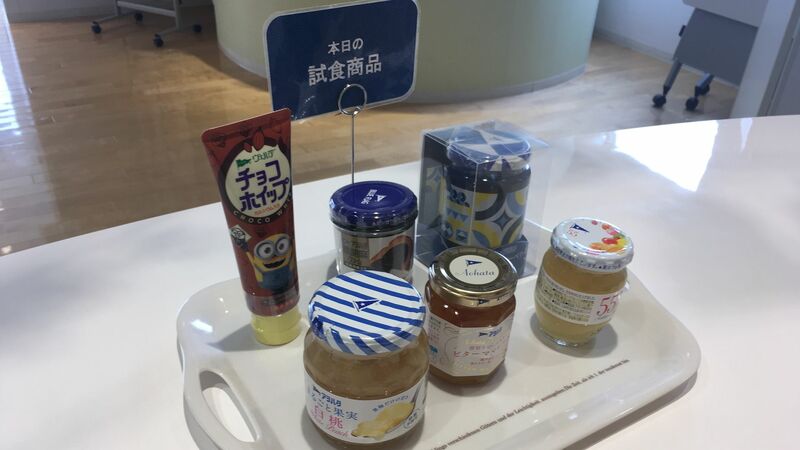 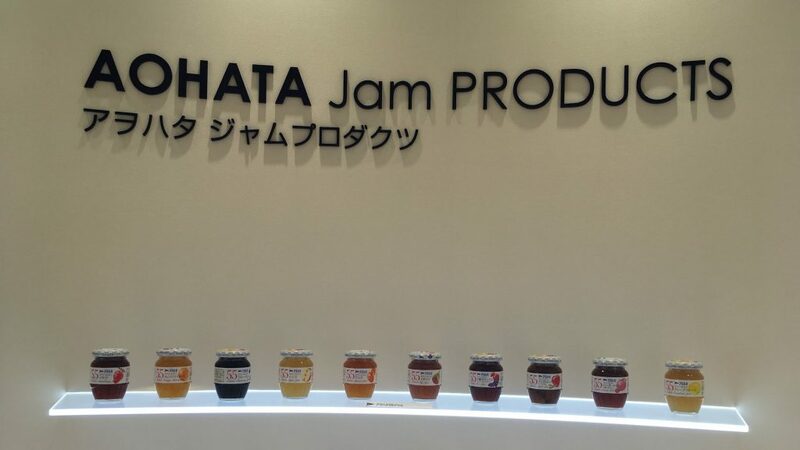 Factory tour and jam making class support Japanese only. 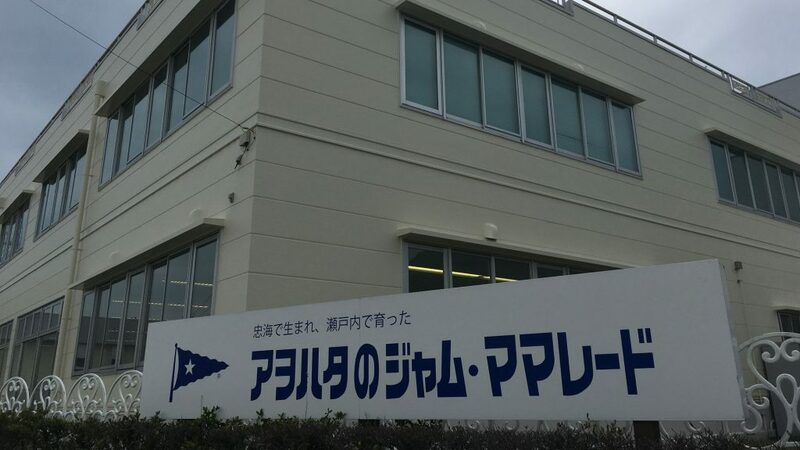 So, if you want to go to this facility, go with someone who can speak Japanese. 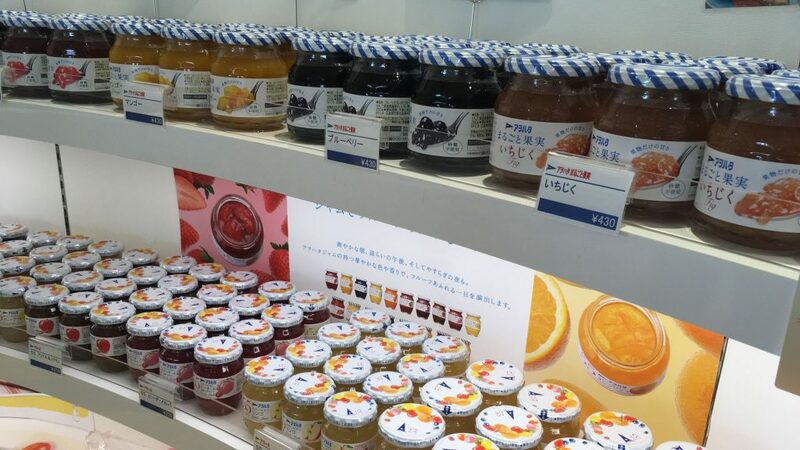 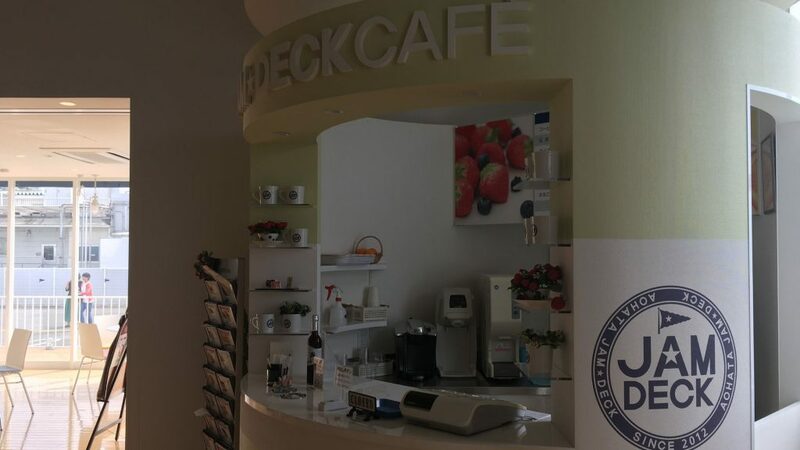 Factory tour is about 90 minutes, jam making class is about 150 minutes. 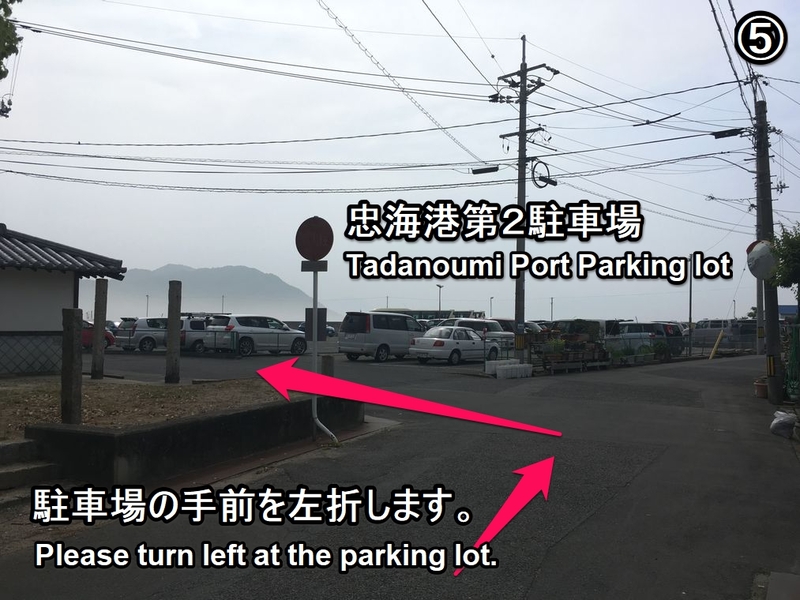 There is a parking lot at the facility. 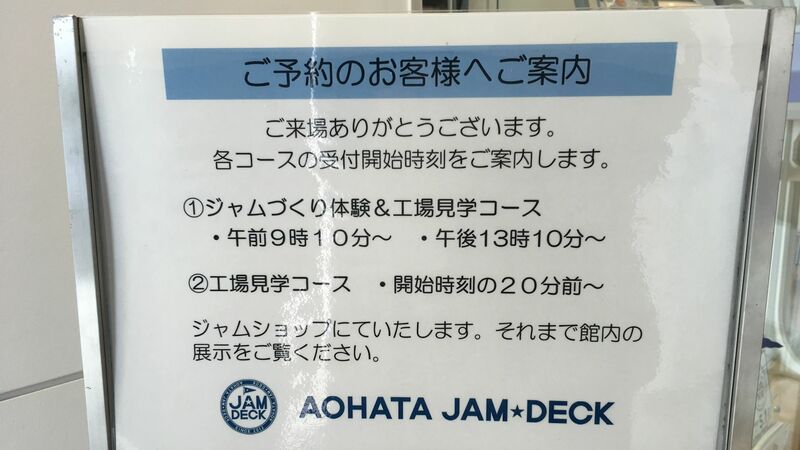 Reception hours are 9:10 and 13:10. 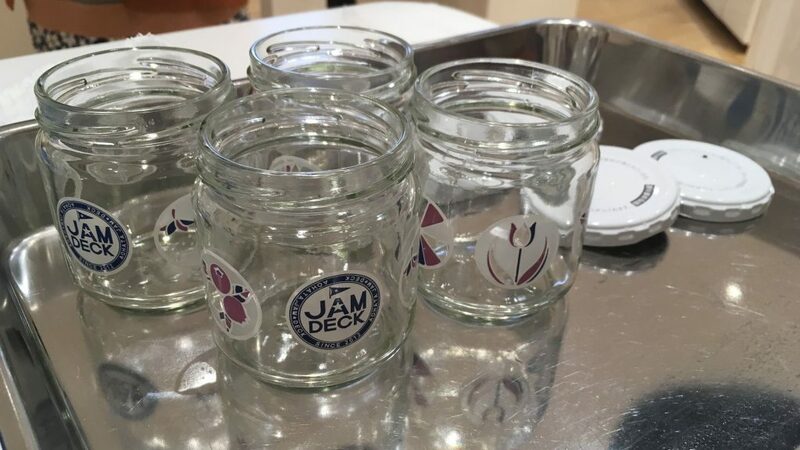 Jam making class starts at 9:30 and 13:30. When we check in at the reception desk, we get an entrance ticket. 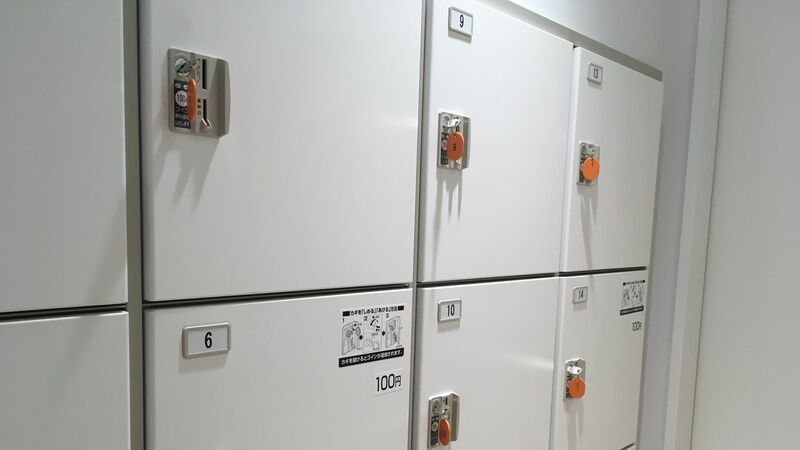 There are also lockers in the facility. 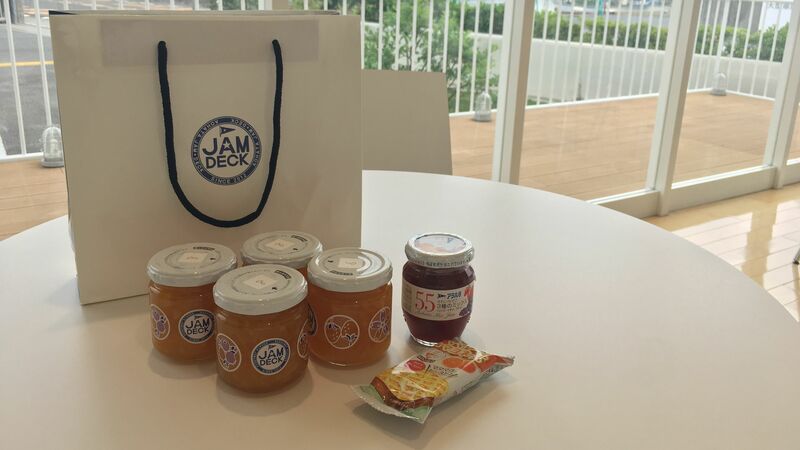 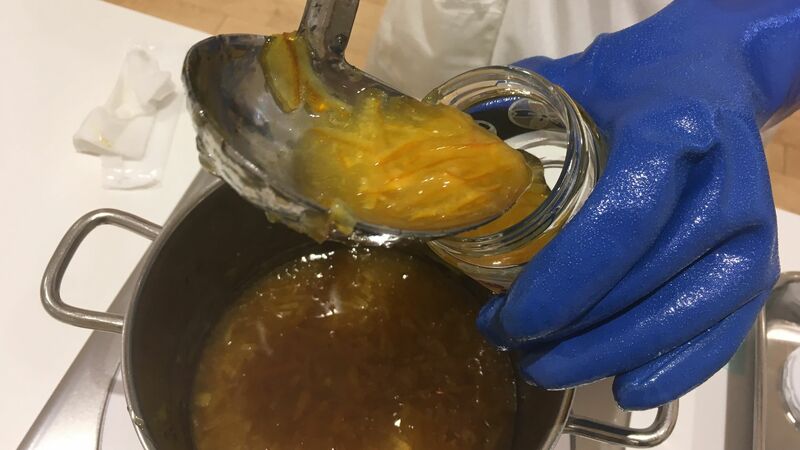 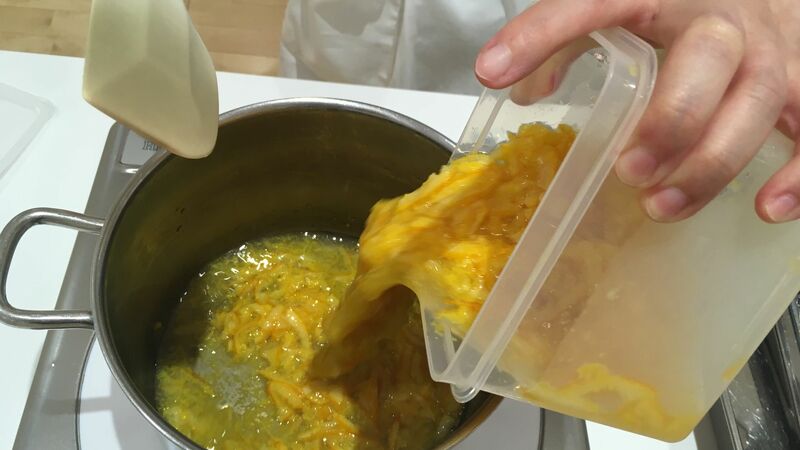 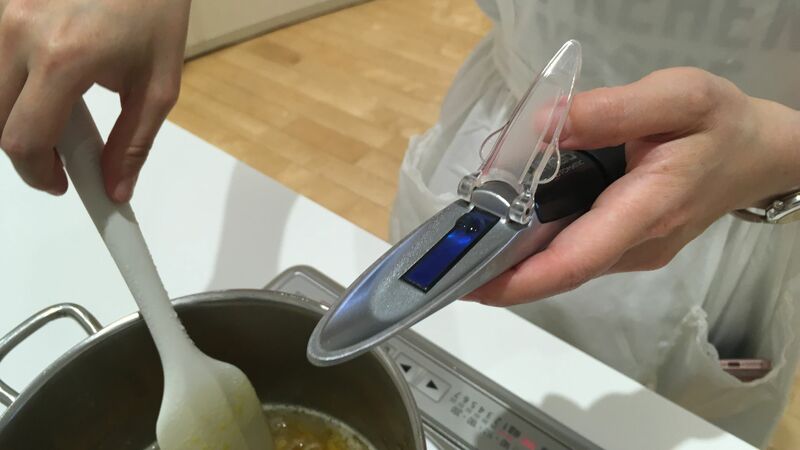 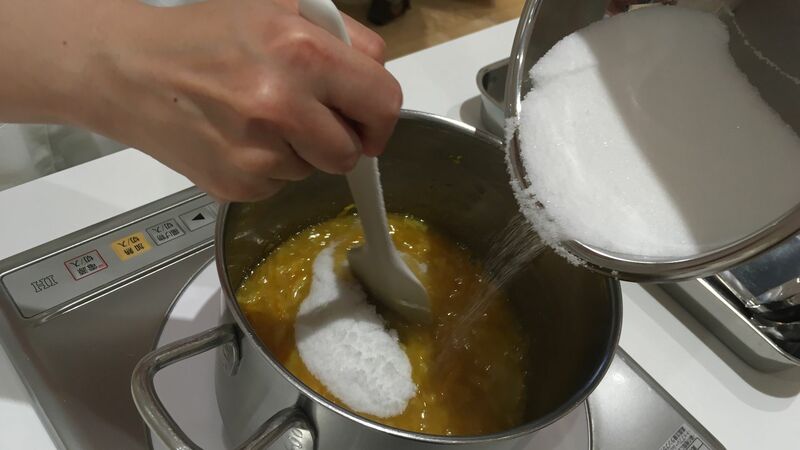 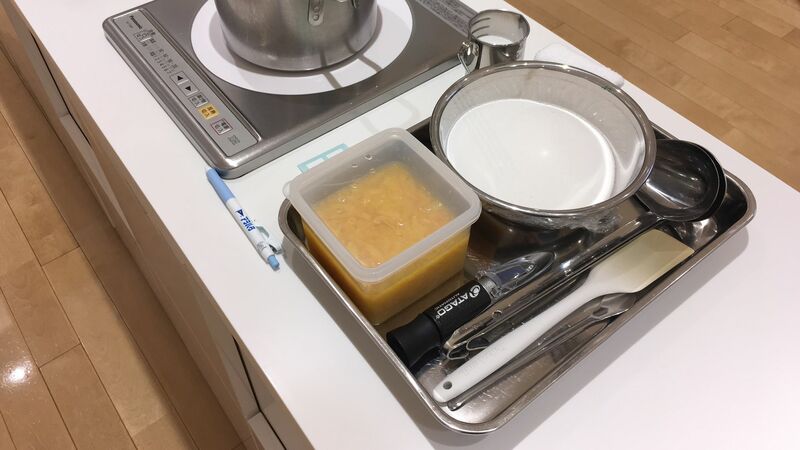 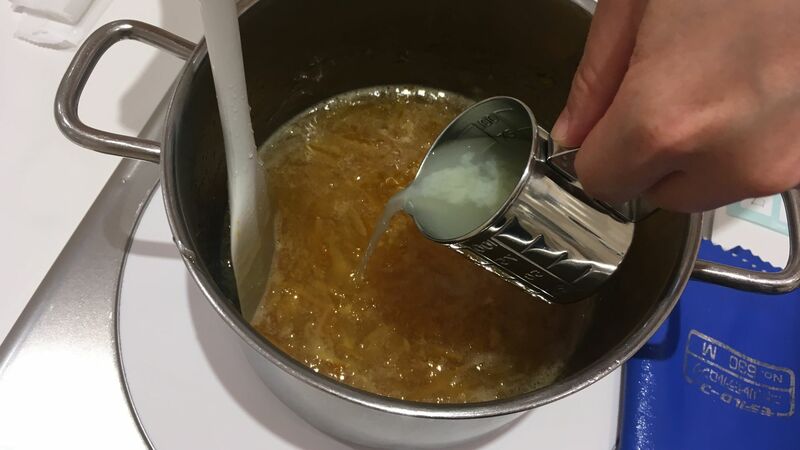 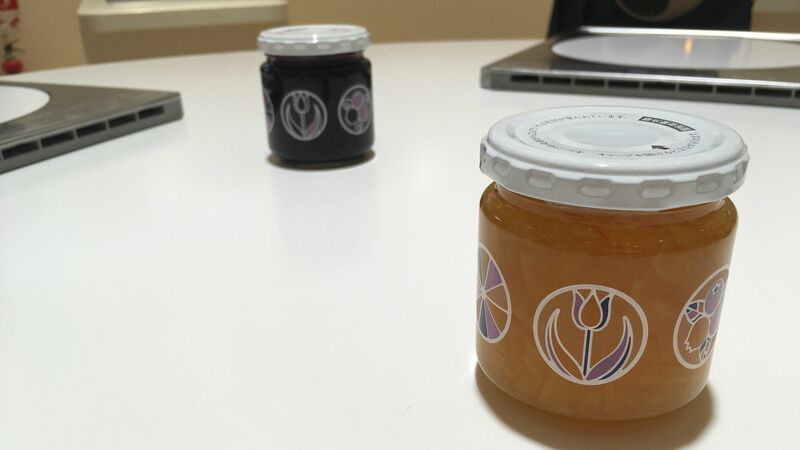 Photos of the jam making class. 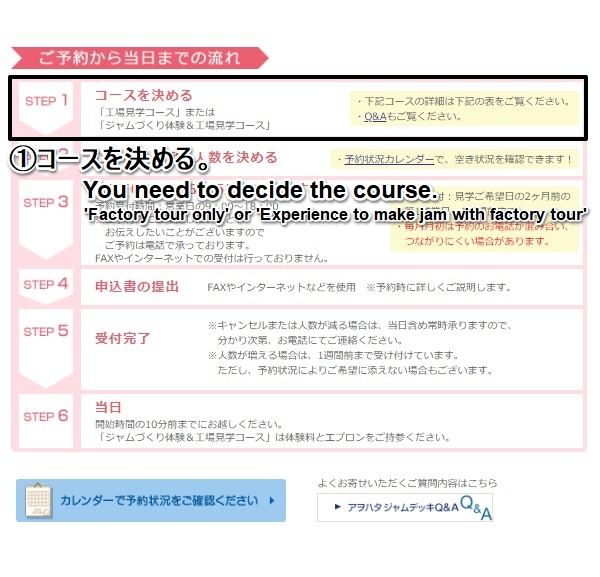 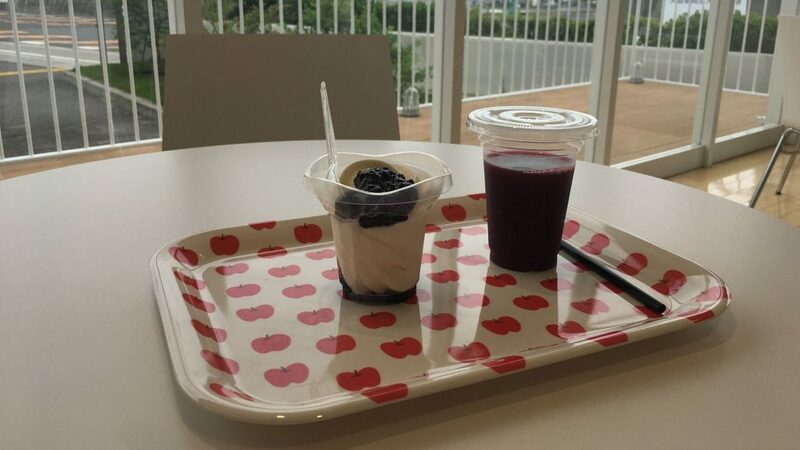 The factory tour is reservation-only. 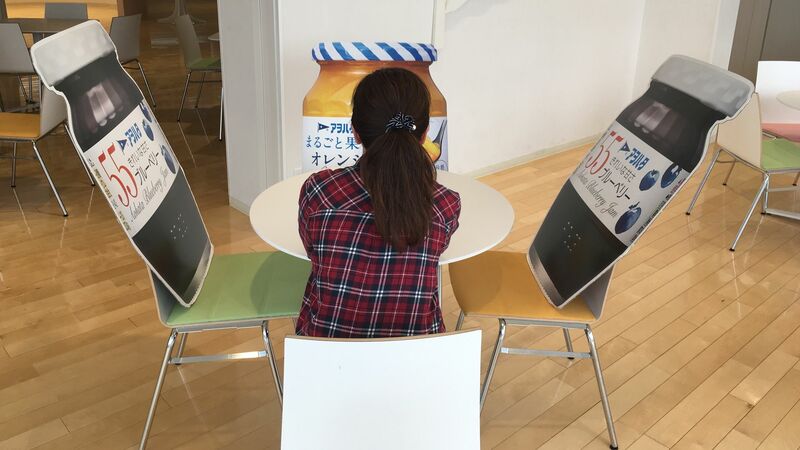 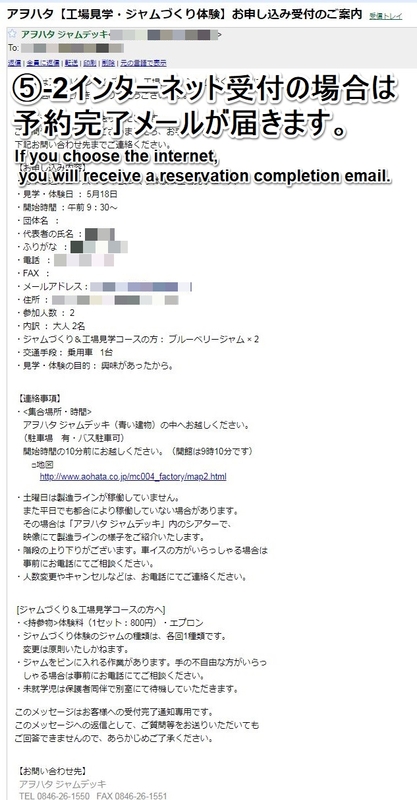 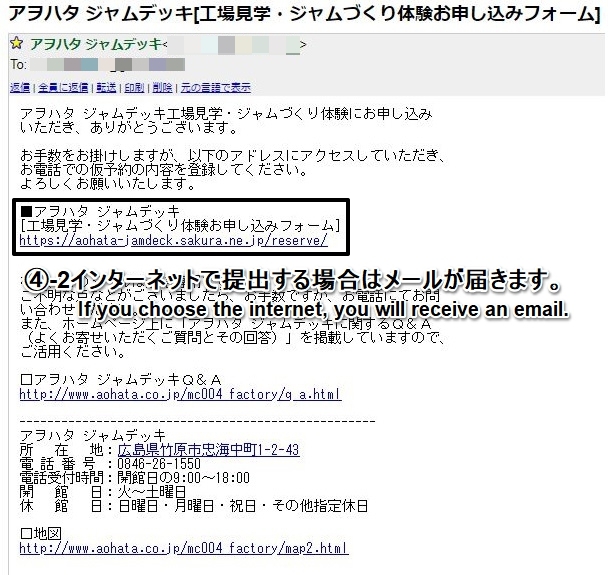 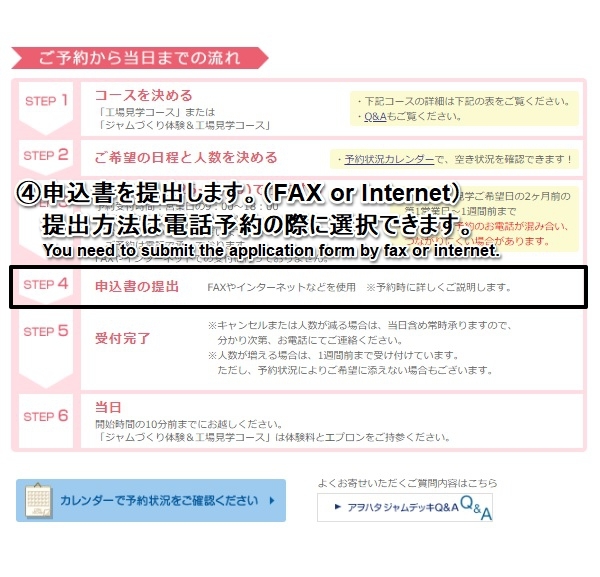 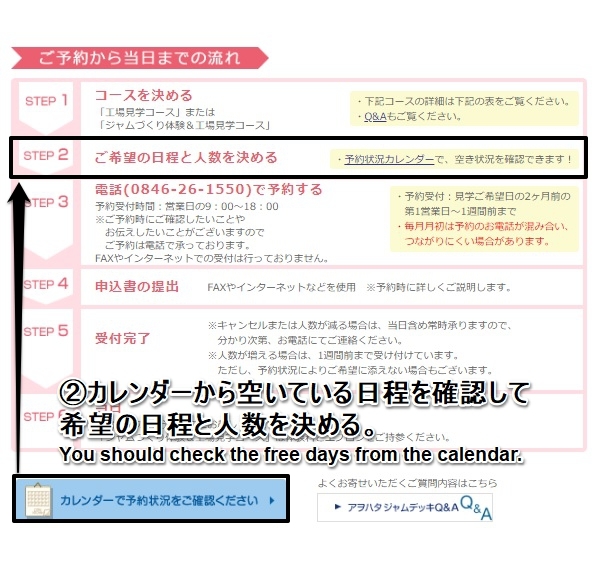 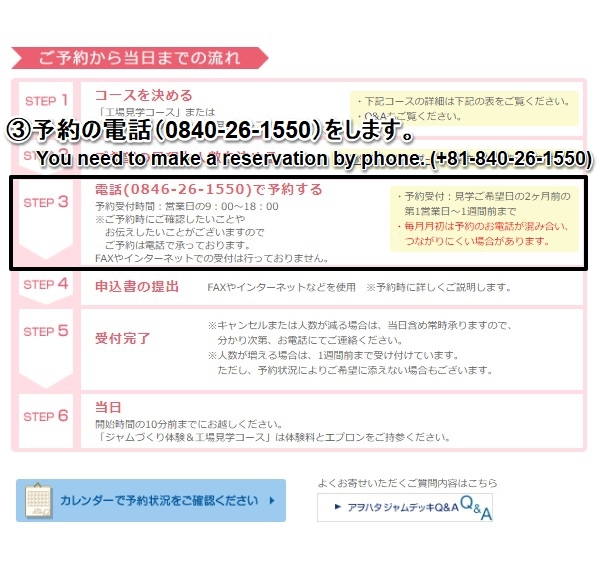 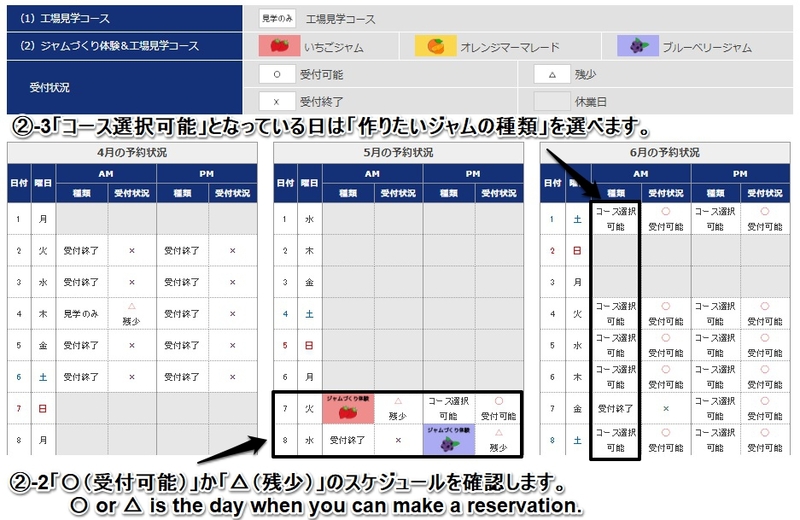 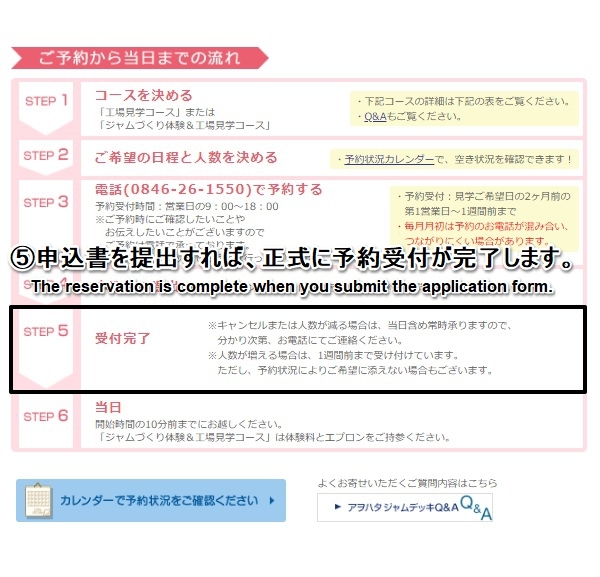 Because it requires a telephone reservation, you need to make a phone call in Japanese. 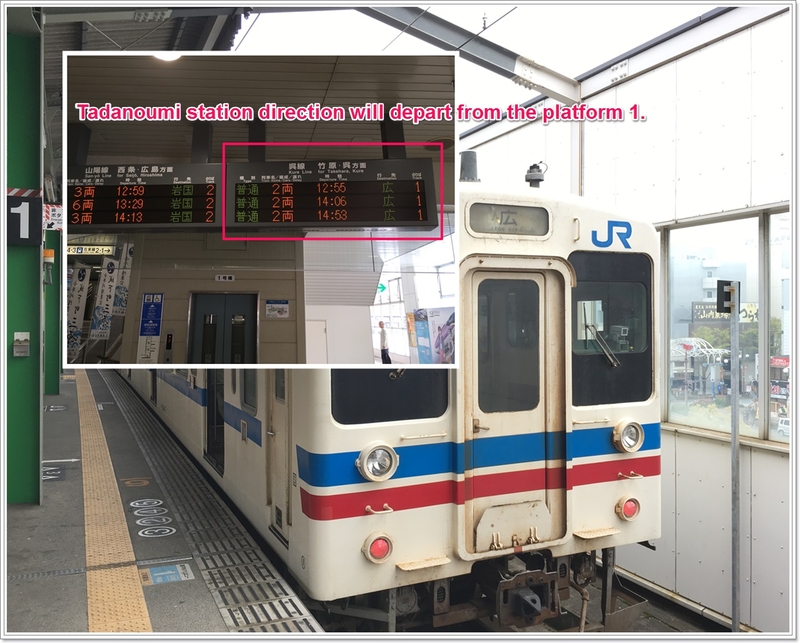 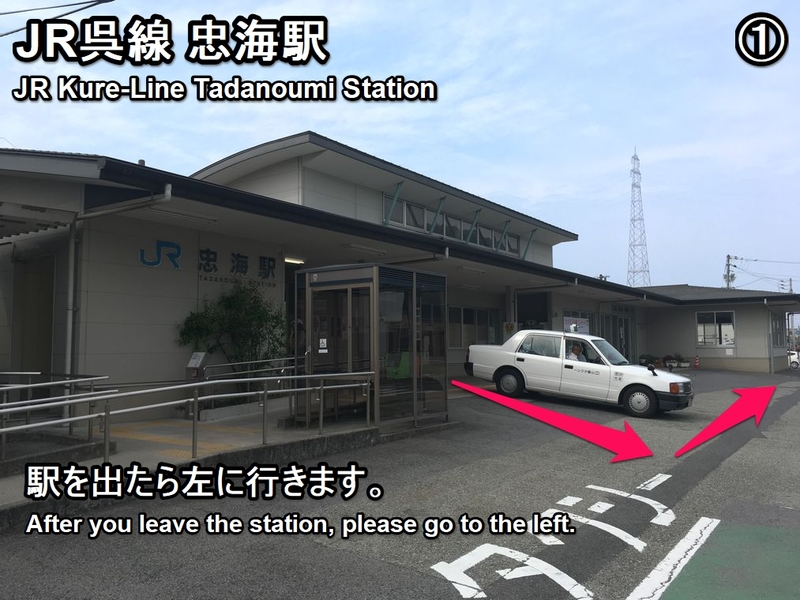 The nearest station is JR Kure-Line Tadanoumi station. 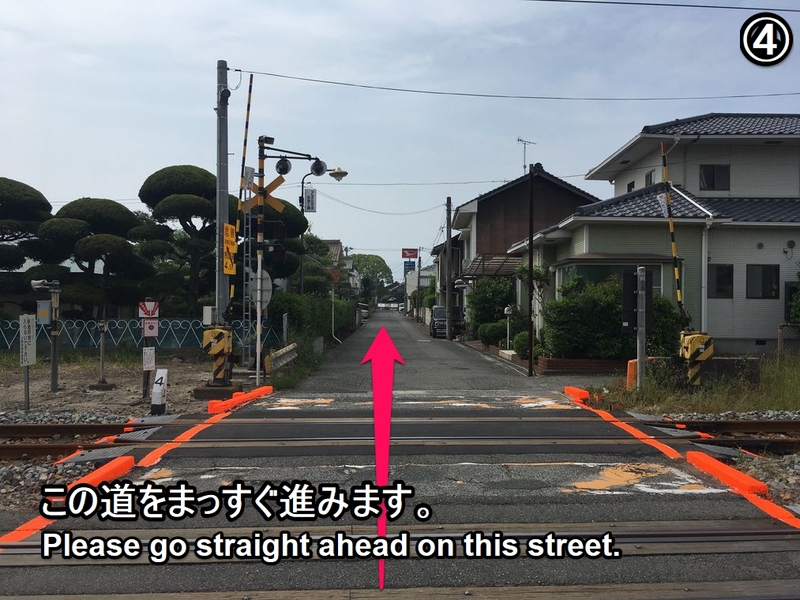 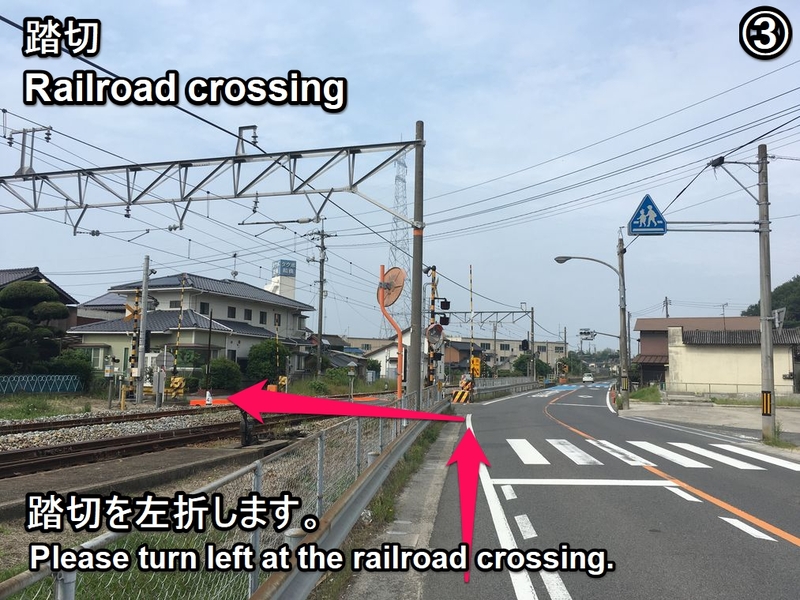 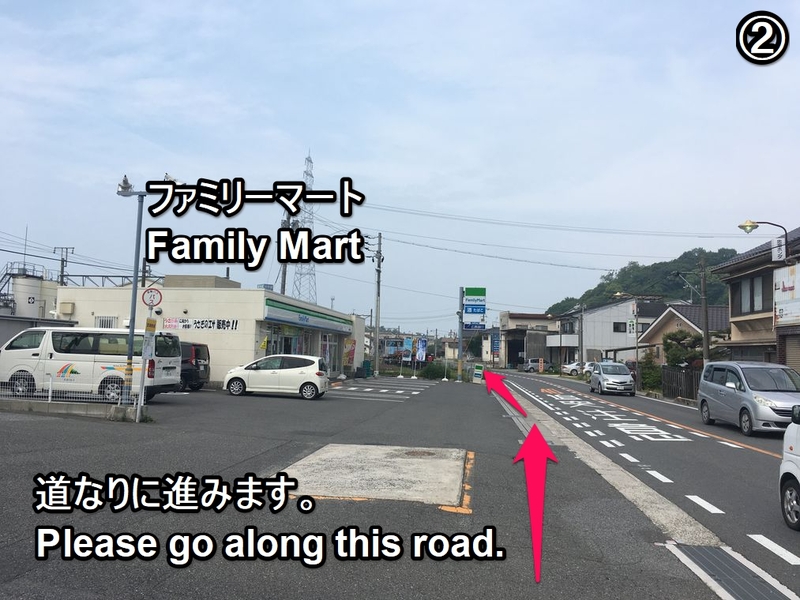 ■When you go on foot from Tadanoumi Sta. 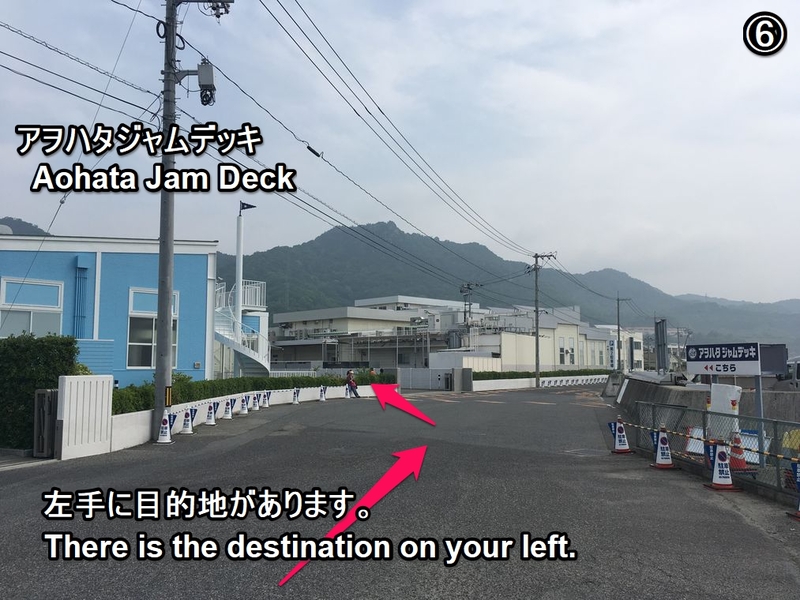 [Phone number of taxi dispatch : Around Mihara Station]*Japanese text only. 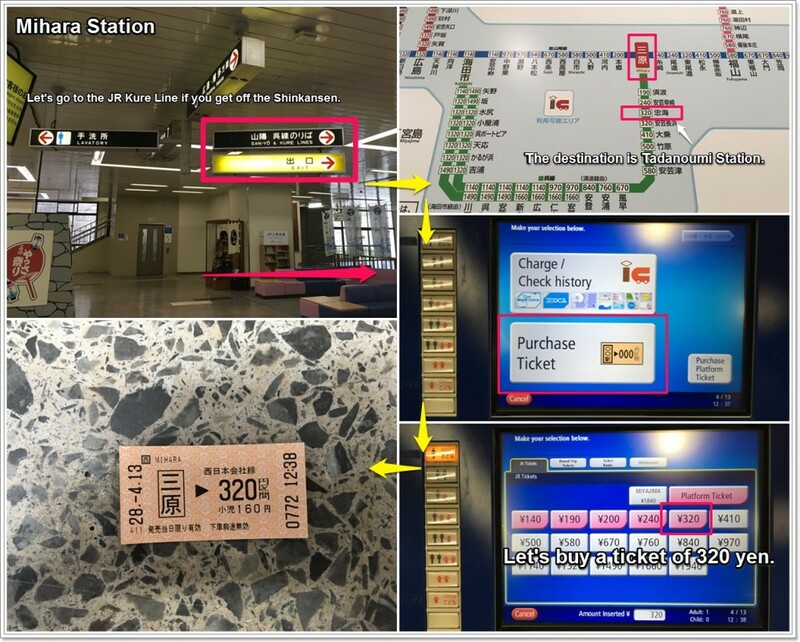 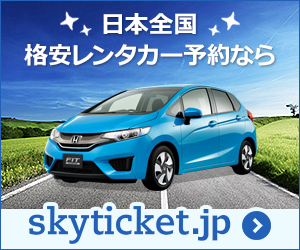 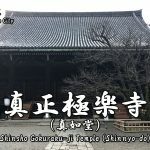 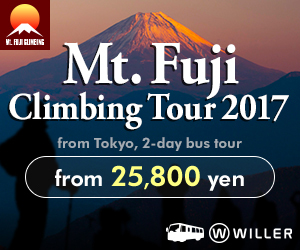 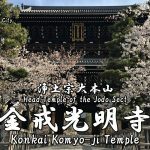 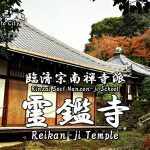 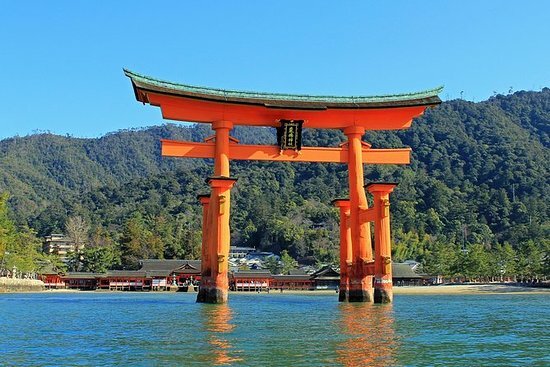 [Ad] Information of Tours / Attractions in Hiroshima!